In order to make any sense of the yogic science of breath it is necessary to understand one rather remarkable fact—the lungs cannot breathe. By themselves, they are immobile. Embedded in the chest, the lungs are connected by tubing to the air around the body, but the lungs have no ability to force air through these tubes. They are guests at a banquet that is being served to them by assistants—the muscles of respiration. In order to make any sense of the yogic science of breath it is necessary to understand one rather remarkable fact—the lungs cannot breathe. To put it awkwardly (but accurately), we “breathe the lungs.” Unlike other inner processes such as pumping blood and moving food through the body, breathing results from semi-conscious and habitual contractions of skeletal muscle that can be brought to conscious awareness. This awareness is the foundation for all pranayama practices. How we accomplish breathing—our choice of the muscles we use to move the lungs and our ability to use these muscles skillfully—makes all the difference. Muscles are protective. At the surface of the abdomen, strong muscles guard the organs that lie beneath them. Muscles also act as boundaries, keeping organs in their proper places. And, most importantly, muscle tissue gives us the ability to move. Muscles produce movement by contracting. From the blinking of an eye to an eight-foot high jump, our movements are the result of muscle contractions. Skeletal muscles work in coordination with one another. The biceps and triceps are good examples. These paired muscles complement one another, resulting in smooth, controlled—but opposing—movements. Contracting the biceps closes the arm at the elbow and contracting the triceps, located at the back of the upper arm, opens it. Now consider the process of breathing. Because the lungs are not muscles, they must be stretched to create an inward flow of air. The muscles that do this surround the lungs—top, sides, and bottom. The main muscle of breathing, the diaphragm, forms both the floor of the chamber containing the lungs and heart, and the ceiling for the abdominal organs. As the diaphragm contracts, the central portion, called the central tendon, is pulled down. This expands the lungs. While some students imagine they can feel this movement by placing their hands on their abdomen, this is an illusion. 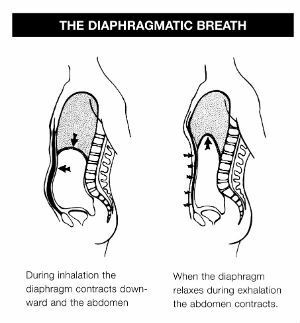 The contraction of the diaphragm is purely an internal movement. Yoga postures and pranayama exercises provide opportunities to improve awareness of breathing and to affect the breath in some way. For example, while sitting erect, try raising your arms above your head, interlocking your fingers and turning the palms upward. Lengthen your arms as if you were performing the yoga posture called the “seated mountain pose” and continue to hold the stretch while you observe the flow of your breath. You will find that because of the arm extension, some very noticeable changes have occurred. Your navel region is expanding dramatically with each inhalation and contracting each time you breathe out. Breathing is more difficult, making the prospect of holding this posture less and less enticing as the seconds tick by. The upward extension of the chest creates a feeling of flaring out in the lower ribs as you inhale—almost as if you had stepped waist deep into a pond of cold water. Once you have found a way to breathe in this stretch, you may discover that holding it actually gets easier. Your mind is no longer struggling with the basic question of survival and you can work on increasing the extension of the arms while moving them farther back. You will be delighted to realize that you have more endurance than you expected—that your endurance is determined by breath control as much as by actual muscle strength. Our ordinary perceptions of breathing are quite limited. We seldom observe or test our breath under the challenging and revealing conditions that yoga postures create for us. Yoga postures provide an opportunity to experience the muscles of breathing under many unusual circumstances—stretched, twisted, and even upside down. In addition, three resting poses focus on gaining awareness of the respiratory muscles during less strenuous moments. These are the corpse pose (shavasana), the crocodile pose (makarasana), and the sitting poses (sukhasana,maitryasana, etc.). We seldom observe or test our breath under the challenging and revealing conditions that yoga postures create for us. Lying in the corpse pose makes it quite easy to feel the effects of diaphragmatic muscle contractions. When the diaphragm pulls the lungs downward, creating an inhalation, it compresses the organs of the abdomen and presses them outward against the abdominal wall. If there is little resistance from the muscles of this wall, the abdomen rises. It falls when the compression of the diaphragm is relaxed. Beginners sometimes assume that the dramatic movement of the abdomen during the corpse pose should be the norm for all postures. Actually, it is relatively extreme, and in upright postures the movement is less pronounced. The crocodile posture provides another important perspective on breathing. Lying on your stomach, with your forehead on your forearms, you will feel the back rise and fall with each breath. Because chronic muscle tension in the lower back is common, breathing in the crocodile pose can be a liberating experience. As your inhalations deepen, the back seems both to rise and to expand—a signal that tension in the back is releasing and that air is flowing deeply into the lungs. Sitting postures yield still another experience of breathing. When the spine is erect, exaggerated movements of the abdomen and back are diminished. They are replaced by a balanced expansion of the front, sides, and back of the mid-torso with each inhalation. In sitting poses, the diaphragm accounts for about 75 percent of the air that is inhaled. (The rest is produced by muscles in the chest wall and the neck.) It’s important to notice that although the chest wall is relaxed, during inhalation it raises slightly in all upright postures; in both the corpse and crocodile poses it is virtually immobile. Yoga practices require awareness of the mechanics of exhalation as well as inhalation. When the muscles of inhalation have completed their work, what makes the air flow out of the lungs? The answer requires careful self-observation. Assume any of the three resting postures and feel the breath flowing until breathing becomes effortless. You will notice that the exhalation naturally follows the end of the inhalation and is quite passive. There are no muscles in the lungs to make air flow out, yet it seems that the lungs contract spontaneously. Why? The answer to this puzzle lies in the natural elasticity of the lungs. After they have been stretched, they want to return to their original shape. They do so on their own, without additional muscular effort. For just this reason, when you sink into an easy chair at the end of a tiring day, you let go of the tensions you have accumulated in your muscles, and exhale. Before we leave the subject of exhalation we need to acknowledge the role played by muscles found primarily in the abdominal wall. These muscles are paired with the muscles of inspiration and they perform a number of important functions. They play a role in normal breathing, in speaking, and in the forceful exhalations in certain yogic breathing practices. Before we leave the subject of exhalation we need to acknowledge the role played by muscles found primarily in the abdominal wall. When you are inflating a balloon, clearing a bug from your throat, or dislodging food from your windpipe, exhalation becomes dramatically more active. Forceful contractions of the abdominal wall press against the abdominal organs. The organs are squeezed upward against the diaphragm, pushing it against the base of the lungs. In this chain reaction, the breath is forcibly expelled. These same muscles also direct the breath when you are speaking. For example, if you were to read this sentence out loud using one breath, you would pause at the commas, stopping the outward flow of air. Much of the control of your speaking breath is accomplished using the abdominal muscles. This is one reason that speaking can be fatiguing. Every exhalation is affected by abdominal muscle tone. Muscle tone in the abdomen produces a smooth, comfortable airflow. When the abdomen is too tight, or too flabby, breathing loses its relaxed quality. Many of the pranayama practices capitalize on the ability to consciously alter exhalations. For example, forceful exhalations are made extremely powerful and highly refined in variations of the bellows (bhastrika) breathing practice. 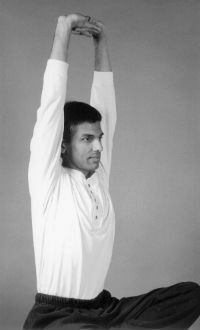 During bhastrika, which is an energizing technique, the breath is rapidly moved in and out of the lungs by manipulating the abdominal wall. In two-to-one breathing, a cleansing and relaxing breathing technique, the exhalation is prolonged by releasing abdominal muscle tone slowly. As a result, there is more time for impurities to be gathered in the lungs and expelled. An acrobatic ability to manipulate breath is not the goal of yoga. Yet the different forces involved in exhalation and inhalation do need to be brought to awareness and coordinated. That’s what this article has really been about. By identifying each of the elements of breathing and allowing them to work without tension, you can develop an ability to breathe effortlessly. During the practice of yoga postures, shift your awareness frequently to the flow of breath. When you can hold a posture comfortably, let the breath become your primary focus and explore the effect of the posture on respiratory muscles and on breath flow. Spend generous amounts of time in the crocodile pose, learning to fully relax tension in the abdomen and lower back. Practice breath awareness during your daytime activities, relaxing the chest wall and maintaining diaphragmatic breathing. Put a mark on your watch so that when you glance at it you are reminded to take time to observe your breathing. 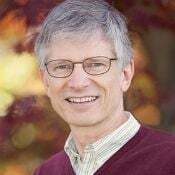 The deep force of prana uses the vehicle of the breath to sustain our lives. Breathing is the act of moving air in and out of the lungs. It is quite natural to be able to guide the muscles of respiration—to know how they feel, how they work most effectively, and how respiratory tensions that create fatigue and nervous problems can be released. When this is accomplished, the door to pranayama practices and meditation is opened.